After working as a wedding consultant for more than 10 years, I've experienced my fair share of challenges when it comes to event planning. There are so many things to consider - budget, menu, invites, décor, and entertainment, to name a few-and things can get frustrating, fast. Luckily, party planning is easier than ever thanks to a wide range of clever smartphone apps. Read on for some of my favorites. If you're looking for something that will help you organize everything, Pro Party Planner can make it happen. The best thing about this app is that it covers everything - from guests to decorations to entertainment and drinks. It has a tab for seating arrangements, a useful tool for arranging formal events. 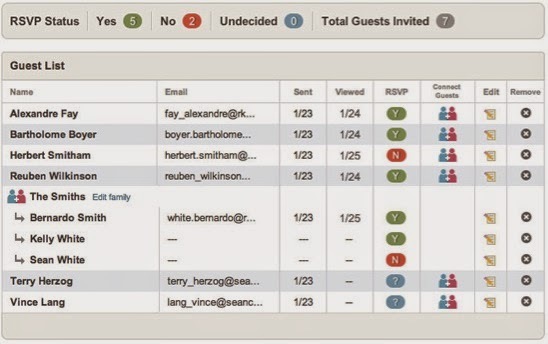 It also allows you to choose the type of event you're planning and then shows the factors accordingly. The sharing option lets you share tasks with other people while the budget tab keeps track of your expenses. And if you're planning the event for someone else, the app allows you to download all the information as a PDF or share it via email. Punchbowl is a web-based app that takes you through the step-by-step process of planning your party. Unlike Pro Party Planner, Punchbowl helps you do one thing at a time. This is ideal for people who are just starting out with party planning and want to take it slow. It offers colorful invitation templates that you can customize before sending out to guests. There are options for a potluck party, a guest list, and a gift registry for more formal events. Punchbowl also offers Social Networking sharing to easily reach your friends, families, and contacts with the touch of a button. No party is complete without food, and Pepper Plate helps you plan the all-important menu. You can import recipes from websites using the Import Recipes tab or save your own with the Manual Recipe option. Pepper Plate also helps you manage your menu or simply plan the week's dinner. 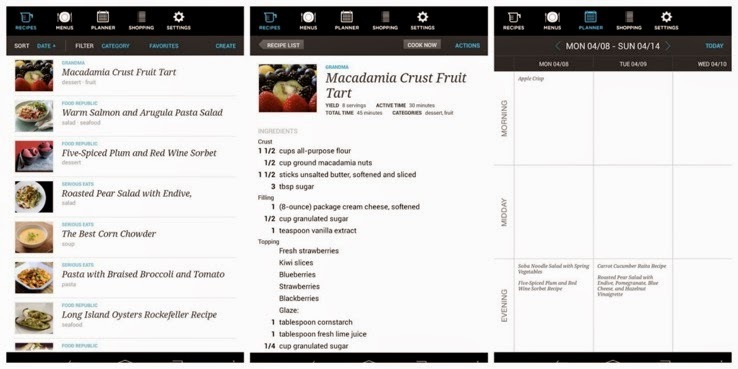 The Shopping tab generates a grocery list according to the menu and you can even filter it by grocery aisle or recipe. You can also print or share recipes with your friends. If you want to serve something other than wine, but you're afraid of experimenting, then Speakeasy Cocktails is the perfect guide for you. 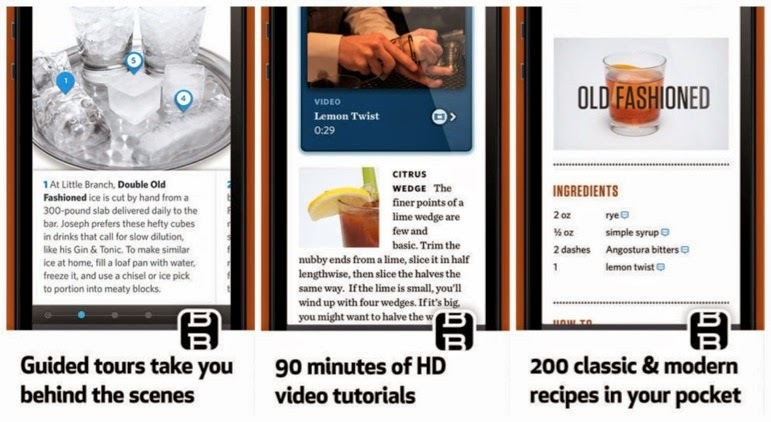 This app features recipes for more than 200 drinks. It also has videos, slideshows, photos, and tools that will help you become a master in Mixology just in time for your event. 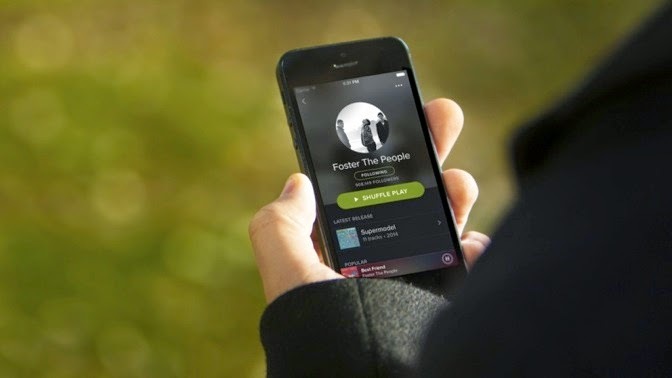 You'll need the right music to set the atmosphere, and Spotify does just that. Browse through thousands of songs, choose your favorites, and then save them as a playlist. This saves you time from switching from one song to the next during your party. You can also create more than one playlist for different times during the party (dinner, late-night), so the music will never stop. 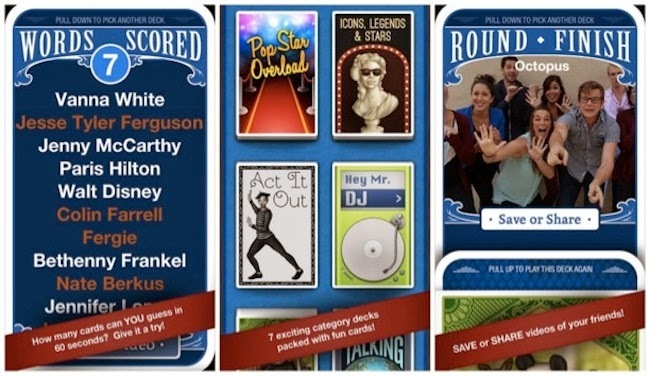 Heads Up is an app you can play with your friends for an entertaining end to your party. It features 18 decks of cards with different themes. Simply choose a deck, draw a card, and then make your friends guess what you're trying to say. Like a reimagined charades game, this app makes you sing, act, or use crazy accents that promise a fun time. 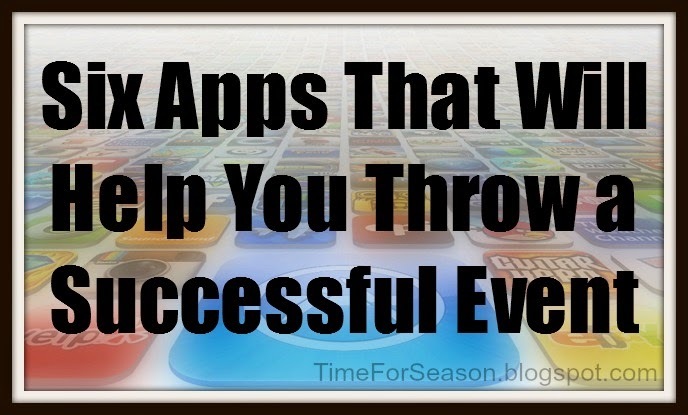 Whether for an intimate dinner party with friends or a huge backyard bash with the family, these apps will help you plan, track, and execute the perfect event. What are your favorite party planning apps? Jennifer Lutz writes about home décor at blog.christmastreemarket.com. A seasoned hostess, Jennifer cooks up unique party ideas, too! Check out her Emmy party tips here: http://blog.christmastreemarket.com/2014/08/hosting-with-jen-how-to-throw-an-emmy-viewing-party/. 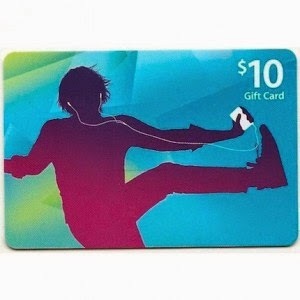 To help you get started with your event planning I am giving away a $10 iTunes Giftcard! US residents only please. 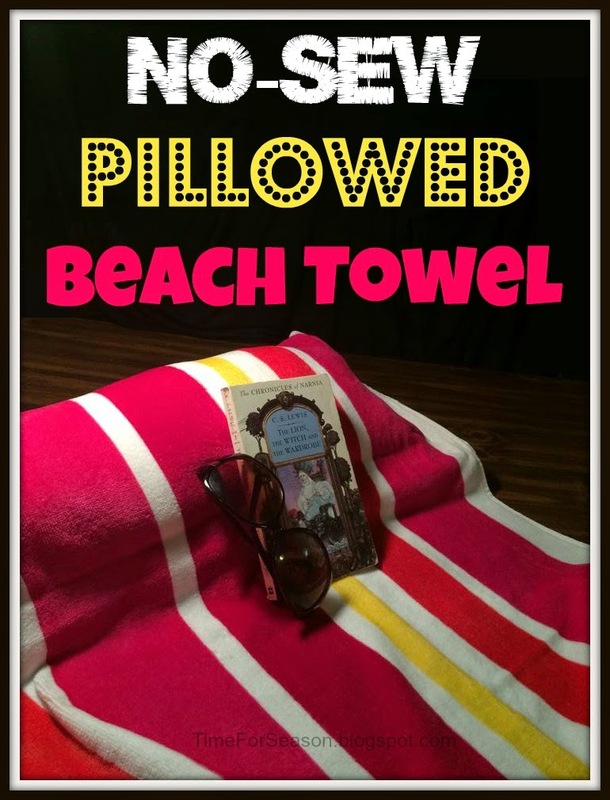 Contest ends next Thursday.